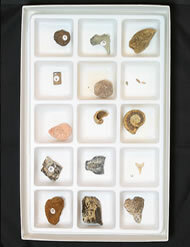 A collection of 15 different plant and animal fossils from a wide range of time periods. Each specimen is identified and placed into the geologic time scale. A great kit for school or personal study. Click on the image for a larger, more detailed photo. 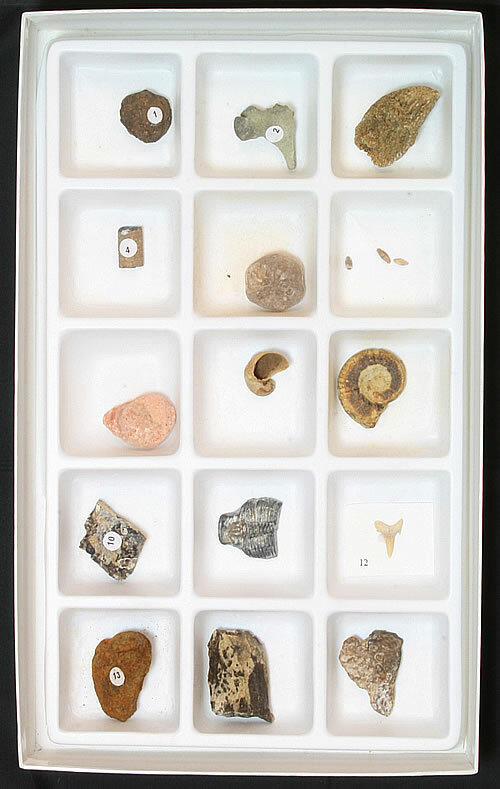 A collection of 30 different plant and animal fossils from a wide range of time periods, representative of the life preserved in the fossil record. 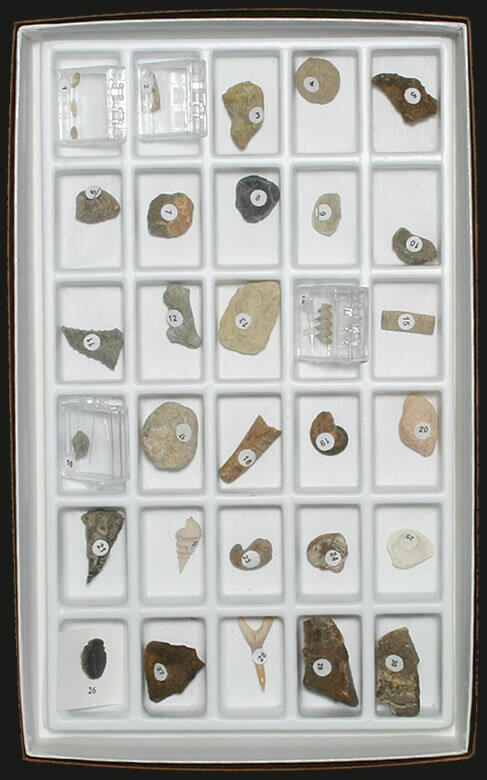 Includes an 11x17" chart on "Fossils and Geologic Time" and an identification key showing each fossil's name, time period, and locality. Included are: fossilized sponge, coral, brachiopod, crinoid stem, ammonite, gastropod, dinosaur bone, shark's tooth, petrified wood, and more. A wonderful collection for school or personal study. Packaged in an attractive specimen box with a plastic tray to keep your collection organized. Click on the image for a larger, more detailed photo. Geologists working in the field, lab, or office often need to closely examine rocks, sediments, soils, sand, minerals, and other materials with tiny features. 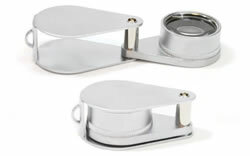 A hand lens provides a quick and easy way to perform that work. It is important for them to examine the rock closely to identify minerals, see the size and shape of grains, look for small fossils or crystals, confirm the results of a hardness test, and much more. Click for more information.